Are you fully in the game? Arthur Ashe was born in segregated Richmond, Virginia in 1943 and suffered his first loss at age six when his mother died. A year later, he picked up a tennis racket and went on to break racial barriers through talent, tenacity and strategy becoming the first – and still only – black man to win the U.S. Open in 1968 and Wimbledon in 1975. The first African-American to be ranked No. 1 in the world and be inducted into the International Tennis Hall of Fame, he helped get South Africa banned from Davis Cup in 1990 because of the nation’s apartheid policies. He never let adversities stop him on or off the court. Even after suffering three heart attacks and contracting AIDS from a blood transfusion, he became an ardent activist for various causes. Although he died relatively young, he made a big impact on the world. In addition to the Arthur Ashe Stadium in New York, he has – in a stroke of irony – a statue on Richmond’s Monument Avenue along with a handful of old confederate generals. 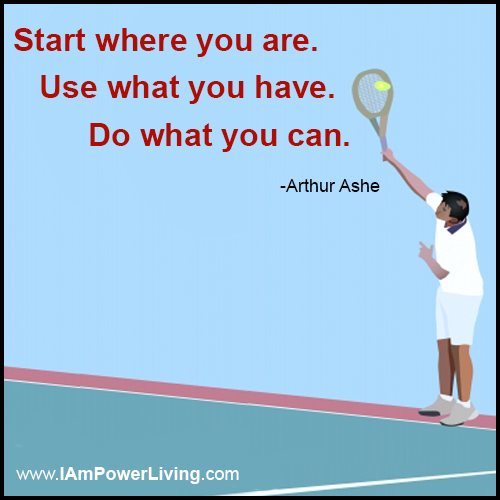 Like Arthur Ashe, do what you can. You have certain innate gifts that are ready to be honed. Be coachable, tapping into the experience of others. No matter how discouraging or annoying your opponent – which could simply be the voice in your head – keep practicing and putting forth your best. 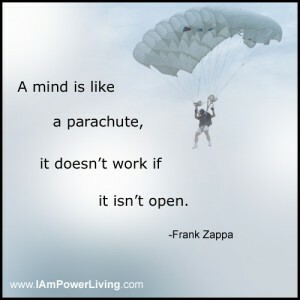 If you keep swinging the racket no matter what is thrown at you, you will one day win your own Grand Slam.